Ryan Doyle is a serving Police Inspector and the Chairman and Founder of the charity LHDiversity, commonly known as “Local Heroes”. Ryan joined Thames Valley Police in 2003 aged 20 and, following his probationary period, specialised in Crime Investigation and Public Protection (specifically Domestic Abuse and Hate Crime). 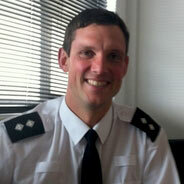 In 2007 Ryan transferred into Devon and Cornwall Police where he continued as a Detective Constable. He was promoted to Sergeant in 2008 and became a Detective Sergeant in 2009. However, in 2012 Ryan moved into the post of Diverse Communities Team Leader and it was here that he had the idea for Local Heroes after delivering a Transgender and Hate Crime awareness session to a group of Housing Association middle-managers. The idea was simple, workshops for young people led by local celebrities and heroes that would raise awareness of hate crime and the harmful effects of prejudice based bullying, inspire young people to celebrate diversity and empower them to make a positive contribution to society. In 2013 the first three Local Heroes roadshows were delivered thanks to funding from Devon and Cornwall Police and support from Plymouth, Torbay and Cornwall Councils and the John Casson Foundation. In 2014 Local Heroes was registered as a charity and with funding from the National Lottery and Devon and Cornwall’s Police and Crime Commissioner, delivered nine roadshows across five counties, creating 192 young ambassadors. Ryan was promoted to Inspector in 2013 and now has responsibility for developing Strategic Partnerships on behalf of the police in Devon. He is also Public Order trained and has managed a number of incident rooms including the Dawlish landslide, 2014 Floods, military parades and Royal visits. Of Local Heroes Ryan says, “My day job is about keeping people safe and working with them to ensure stronger and more resilient communities. Local Heroes supports that as it is our aim to inspire and empower a generation that will hold understanding and respect at the core of their values”.